If I had been languishing in obscurity for 250 years like Joseph Bodin de Boismortier I think I’d rather stay that way than be rescued by Hervé Niquet and the French “comedy” duo Dino and Shirley (Corinne and Gilles Benizio). To be fair their take on Boismortier’s 1743 ballet-comédie Don Quichotte chez la duchesse isn’t nearly as bad as their previous brutal murder of Purcell’s King Arthur but it’s really weird and patchy. It’s rather hard to describe in fact. It’s a sort of mash up of farce, commedia, slapstick and pastiche in which bits of baroque opera occasionally break out. 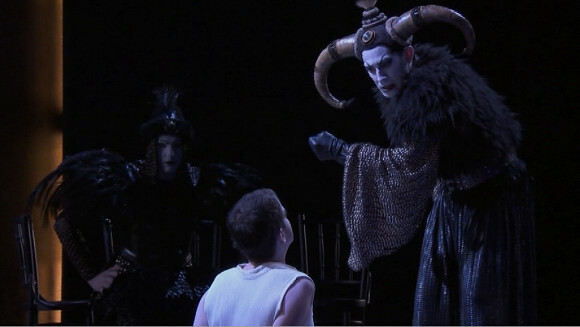 It’s also staged as meta theatre with the stage interacting with the pit and Niquet himself ending up in the action. 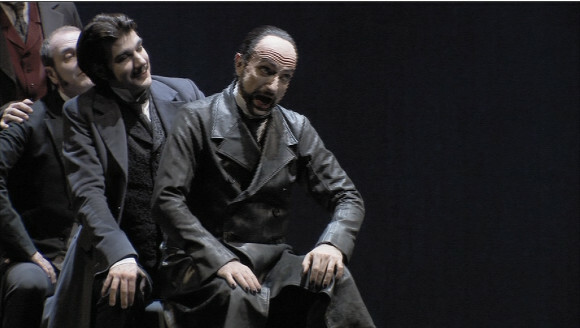 Laurent Pelly’s 2013 production of Offenbach’s Les Contes d’Hoffmann at the Liceu is one of those productions that’s a bit hard to take in at first go. Part of it is the performing edition used (Michael Kay and Jean-Christophe Keck) which seems to have added a lot of dialogue compared to any version I’ve seen before and includes Hoffmann killing Giulietta in Act 3. This produces a constant sense of “where they heck are we in the piece”. It doesn’t help that the DVD package contains no explanatory material at all. There are no interviews on the disks and the documentation is sub-basic.